Since 2005’s First LEGO title, LEGO Star Wars: The Videogame, Traveller’s Tales have been pumping out numerous LEGO titles after popular franchises like: Indiana Jones, Batman, Harry Potter, Pirates of the Caribbean, and The Lord of the Rings. But none has been more unique and captivating as the new LEGO Batman 2: DC Super Heroes. The Lego games have been generally good, ranging from innovative and fun like Star Wars and Harry Potter, to average and mediocre like Pirates of the Caribbean. Just like the Mario games are all about platforming and jumping, or the Sonic games’ platforming and speed, All the Lego games have the same formula of platforming with an emphasis on exploration, and smashing everything for studs (the ring and coin version of the game).In DC Super Heroes, the Lego characters finally talk in full dialogue, which is very refreshing and new. I found this Lego game to be much funnier than the previous, because now I’m relying on the surprisingly witty script, rather than pantomiming and grunting. And Traveller’s Tales used all the voice actors from movies and the DC Universe cartoons–which was amazing– as some of their voices are very familiar from shows like Teen Titans, and movies like Shawshank Redemption. I would’ve also mentioned about the excellent open world, except that for the handheld version, it is absent. Many handheld games don’t feature open worlds because the scope of it is too much for the memory of the portable system. Now, the 3ds version of this game is by no means better than its superior on the console. But this time, it actually works on its own. I usually hate all the handheld ports of Lego games these days, since Indiana Jones 2: The Adventure Continues. The reason why the graphics are lower in quality and simple is because ever since TT changed their game engine for Indy 2, the handhelds just couldn’t handle it anymore. I remember playing the first LEGO Batman and Indiana Jones on the PSP, which was an exact replica of the console, but now even the Vita is stuck with the same type of game as the 3ds is. Despite all this, I found the 3ds version to be mildly impressive, and it stands on its own compared with the other bland Lego 3ds titles. For the first time since Indiana Jones, you can play as another character is tagging along with you. It always irked me that in the previous handheld games, you could only play 1 character at a time. What was so hard about including another character? Granted, there’s no online multiplayer in the 3ds version, but having Robin by your side as you take down the thugs and criminals as Batman, and being able to switch to him simultaneously is fun and gratifying. Batman can also glide on his own without using any special suits! This really made me happy, as it took its inspiration from the modern Batman in the Dark Knight movies. After all, what’s the point of having a cape if you can’t do anything with it? Just as Batman can glide without using another suit, so can Robin use his acrobatic skills without having to wear that silly looking acrobat suit. I know some people were upset that Robin only has 3 suits now, instead of 4, but I always found his Acrobat Suit as the most ridiculous. As fun as the level designs can be, they’re still empty and lifeless for the most part. In the first level in the game, when Batman and Robin are fighting in the theatre, there are audiences and people everywhere, panicking and running out the door. In the handheld, it’s just you, and the thugs. Everyone’s mysteriously not around and that can get boring after a while. The music and sound quality is quite low, which is a bit shocking, since there are games like Kingdom Hearts that have fantastic surround sound and music to it. Another minor problem is that almost all the cutscenes are heavily edited and compressed. So unless you already know the story from the console, you will be confused playing this game on the 3ds, even with all the dialogue going on. All in all, this is a slight improvement as far as the handheld Lego games are concerned, but that’s not saying much. Replacing the open world is the Justice League missions in this game. Although they’re fun and change the pacing, it can be frustrating, unresponsive, and quite repetitive after a while. The 3D effects here are decent, but don’t have the visual appeal like Sonic Generations, or are even needed for the gameplay like Super Mario 3D Land. 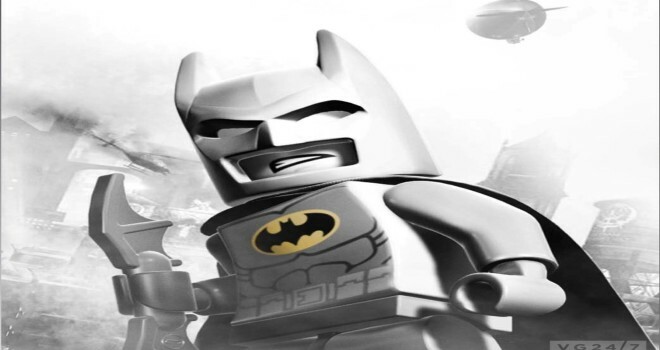 Nevertheless, if you want a different and smaller approach to LEGO Batman 2, and love collecting Lego collectibles like me, than this game will be a very good pastime for you, and quite frankly, the most entertaining Lego pastime on the handheld since the original LEGO Batman.